Ms. Sammy (Chinese name: Hua Jiang) is currently the Vice President of Luye Pharma Group, responsible for corporate strategy, business development and Investor relationship. Ms. Jiang has over 19 years of experience in pharmaceutical industry. 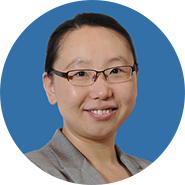 Ms. Jiang holds a Doctor of Business Administration from United Business Institute, a Master’s degree in Business Administration from KEDGE Business School (previously known as Euromed Management School), and a Bachelor’s degree of Economics from Economy School, Fudan University. She is also an economist certified by the Ministry of Human Resources and Social Security of the People’s Republic of China. Ms. Jiang is the honorary director of ACLSTA (American Chinese Life Science Technology Association) and Vice Chairman of KEDGE AEMBA Alumni Association. She was listed in “China Top 99 Pharma Executives” in 2010, and continuous 3 years win “the national excellent award” by SAPA (Sino America pharmaceutical association) since 2010. Ms. Jiang is the freelance writer for Healthcare executive magazine, China Pharmaceutical technology economics and management magazine, etc. She had been invited to attend and make the speech in some related seminar/conference. She is also the Program Professor for Yeehong Business School, Shenyang Pharmaceutical University and Yantai University Pharmaceutical College.